What’s fun when visiting the SGO exhibit at the NAB Show 2019 is trying to figure out what their Mistika Ultima system, what they call their Hero Suite, can’t do. As Geoff Mills, managing director at SGO noted, this powerhouse can perform real-time finishing workflow for Stereo 3D, VR/360-degree and UHD 8K at 60p, even with uncompressed formats when running on their new Mistika Technology hardware. To get uber high-rez material into and out of this system, SGO calls upon the latest 8K recorders from Panasonic for capture and output. 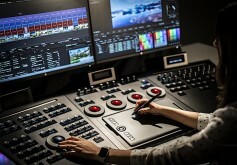 Because Mistika Ultima 8K is such a massive system, it’s nice to know users can use the SGO CoPilot, an application that allows that enables an assistant to simultaneously work on the same project without interfering with the main editor’s operations. 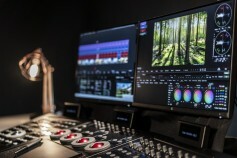 Co-Pilot has its own user interface and runs inside the same workstation but utilizes its own GPU to make the post-production finishing process more efficient. 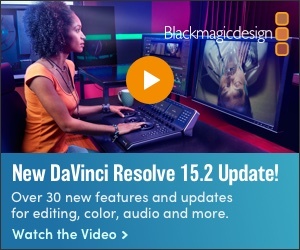 At NAB 2019, SGO will be launching a software only version called Mistika Boutique, available by subscription, and running on either Windows or MacOS. “We’ve had a huge interest in this already, since Mistika Boutique has the same functional operation as our Ultima system including color grading, VFX, Stereo 3D and VR/360-degree,” Mills said. A brand new product Mills says is Mistika Workflows, also a software subscription for Linux, Windows and Mac. 'This multi-platform application enables the creation of standard and user-defined media workflows without any knowledge about programming" he said," thanks to its easy-to-use interface and smart features." For those wanting to differentiate their skills by learning the SGO editing procedures, the company has a free training program on the website. The emulation software, taught by Francisco Ramos, runs on Windows and Mac.